Simone Brunozzi hasn't added a story. 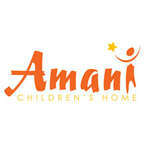 Amani’s Big Challenge is to purchase and build a new Education Center in the city of Arusha. The Amani Education Centre will more effectively rescue and transition children from street life to Amani Children’s Home and school. Simone Brunozzi hasn't posted any updates yet.